Spring has sprung here in Austin! Bluebonnets and Indian Paintbrush line even the busiest of highways. It is truly incredible that they pop up on their own and paint our beautiful city each year. I was so excited that Ford would be sitting on his own by the time the wildflowers bloomed and I didn't want to waste any time getting his picture taken. 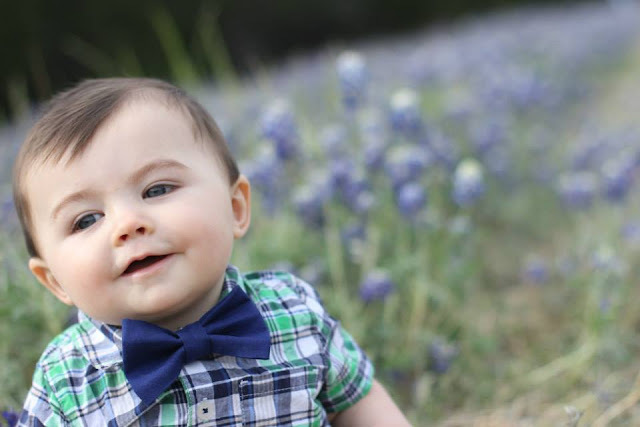 Despite it being a cloudy/bright day, Ford was happy as can be and managed not to pick ANY flowers (since Bluebonnets are the state flower of Texas, they are illegal to pick). Each and every one of us. 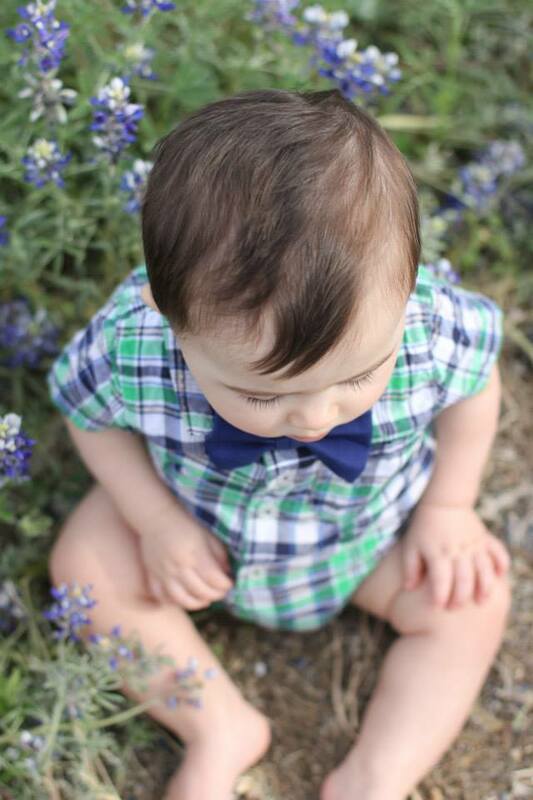 His thoughts about each of us outnumber grains of sand, all the Bluebonnets, and Indian Paintbrush. What an incredible and giving God we serve. Happy Monday friends, I hope these pictures bring you as much joy as this little guy brings me. Aww Ruthie his pictures turned out really great! :) I gotta see my Fordy soon! such sweet photos! i am in austin as well and i feel like last year didn't even compare to the gorgeous blankets of flowers this year! 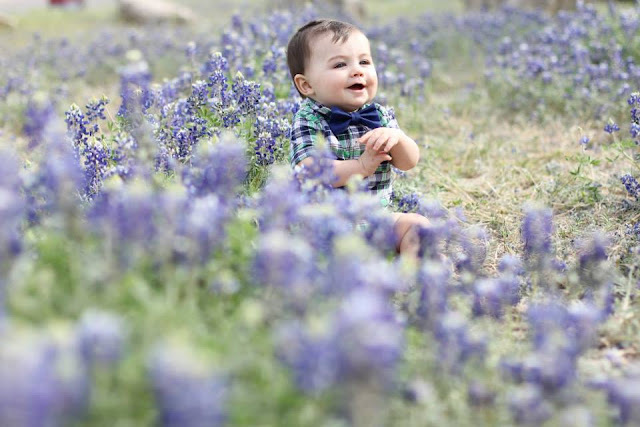 The Bluebonnet pictures never get old for us Hill Country folks! So adorable! LOVE. Oh mama Ruthie!! I am missing you and Fordie boy so much!!! We need a reunion already!!! I love the third picture. He looks like he is deep in thought. Happy Monday! These pictures are SO cute!!! He is precious in the plaid/bowtie combo and sitting in a sea of bluebonnets. LOVE it! 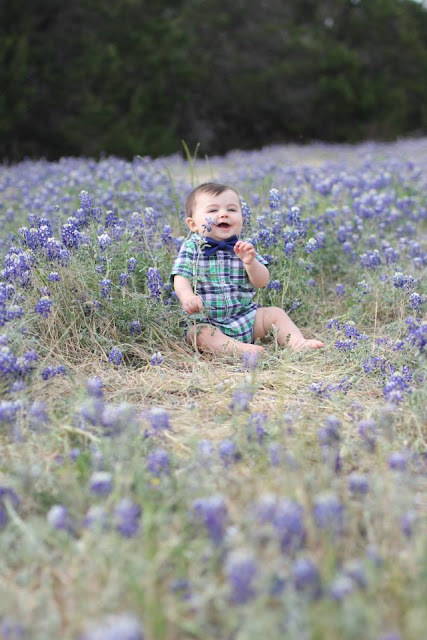 Oh how I miss Texas Bluebonnets! I have missed them for the last 5 years. You're little guy looks adorable sitting up in them. Oh my word he is so precious!! Love the outfit Ruthie... just darling! It was so cute to see all the families pulled over on the side of the road to take pictures last weekend when I was driving home from Fort Worth. He's a cutie! What gorgeous pictures!! Did you take them yourself!? Your sweet boy is so adorable and always looks like a bundle of joy! 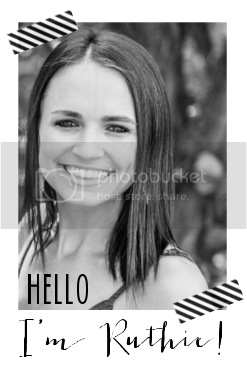 Have a wonderful week Ruthie! So precious! Love his smile. 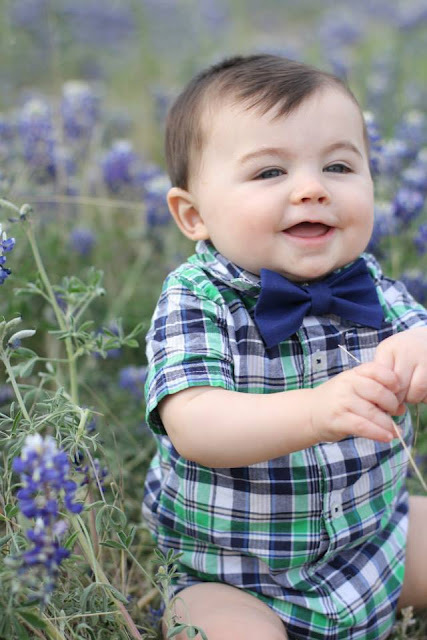 Drew is taking some bluebonnet pics tomorrow for her 1 year photoshoot...3 months late! Oops.